Large employers must offer affordable coverage, but how is that determined? Under the Affordable Care Act's employer mandate, large employers (those with 50 or more full-time equivalent employees) must offer health insurance to their full-time (30+ hours per week) employees or face a financial penalty. There's wide latitude in terms of the coverage that large employers can offer, but in order to comply with the employer mandate, the coverage has to provide minimum value and be considered affordable for the employee. Minimum value just means that the plan covers at least 60 percent of average medical costs for a standard population, and provide "substantial coverage" for inpatient care and physician services (note that minimum value is not the same thing as minimum essential coverage, but employer plans that provide minimum value do meet the requirements for minimum essential coverage). But affordability is a more subjective measure since it depends in large part on a person's income. How do employers and the IRS determine whether a plan is affordable for the employees? The IRS considers an employee's coverage affordable as long as the employee's portion of the premiums for self-only coverage doesn't exceed 9.56 percent of the employee's household income in 2018 (this percentage is indexed for inflation each year; it started out at 9.5 percent in 2014, increased each year through 2017, and then decreased slightly for 2018). It's important to understand the "self-only" portion of that definition. The cost to add family members to the employee's plan is not taken into consideration when affordability is determined. All that counts is what the employee has to pay for just their own coverage. Unfortunately, the family members aren't eligible for premium subsidies in the individual market if they have access to coverage under the employer-sponsored plan that's considered affordable for the employee, regardless of how much it would cost to add the family to the employer-sponsored plan. This is known as the family glitch. So the affordability determination is fairly straightforward: if the coverage your employer offers is going to cost you more than 9.56 percent of your household income in 2018, it's not considered affordable. In that case, you would have access to premium subsidies in the exchange if you want to buy an individual market plan instead, and your employer would then be subject to the employer mandate penalty. But how does your employer know your household income? If you work full-time for a large employer and your coverage ends up being unaffordable when compared with your household income, your employer is on the hook for a penalty, which can be substantial. And yet, employers typically don't have access to data regarding their employees' total household income. To address this problem, the IRS created three "safe harbor" calculations that employers can use. As long as the employer offers minimum value coverage that is considered affordable using one of the safe harbor methods, the employer won't have to worry about potential penalties. W2 wages safe harbor. To use this method, the employer has to make sure that the employee's total health insurance premium costs throughout the year don't exceed 9.56 percent of the employee's W2 wages in 2018. They can set the employee's premium contributions as a dollar amount per pay period or a percentage of income (which could vary, if the employee's income varies), but there are restrictions on adjusting the contributions mid-year to account for a change in income. So this method is best for employees who have consistent wages throughout the year. In the case of salaried workers, the rate of pay safe harbor method just requires the employer to ensure that the employee's premium cost doesn't exceed 9.56 percent of the employee's monthly salary. Federal poverty level safe harbor. This safe harbor method results in the same maximum required premium contribution for every employee, since it's based on the federal poverty level, rather than on each employee's income. To use this method, your employer just has to ensure that your premium costs don't exceed 9.56 percent of the federal poverty level. For 2018, the federal poverty level is $12,140 (for a single individual, which is what this calculation uses). So if your employer uses this safe harbor, your total premium costs for your coverage in 2018 cannot exceed $1,161—or $97 per month. This safe harbor level will generally result in the lowest possible level of premiums that employees will have to pay for their coverage, since most full-time workers earn more than the federal poverty level. How Does the IRS Know Which Safe Harbor Method My Employer Used? Your employer files a report at the beginning of each year with the IRS (and sends you a copy), detailing the coverage that was offered to you during the prior year. This is Form 1095-C.
On line 16 of that form, your employer will enter a code to clarify which safe harbor method (if any) was used. The codes are explained in the employer instructions for Form 1095-C: Code 2F means the W2 wages safe harbor was used; Code 2G means the federal poverty level safe harbor was used, and 2H means the rate of pay safe harbor was used. Since your employer only has access to your portion of your household's income, that's all that will be taken into consideration if your employer uses a safe harbor calculation. And if the federal poverty level safe harbor method is used, it's based on the poverty level for just one person. If your spouse has additional income, that's not counted when your employer ensures that your premiums don't exceed 9.56 percent of your income. Employers are not required to use a safe harbor calculation. 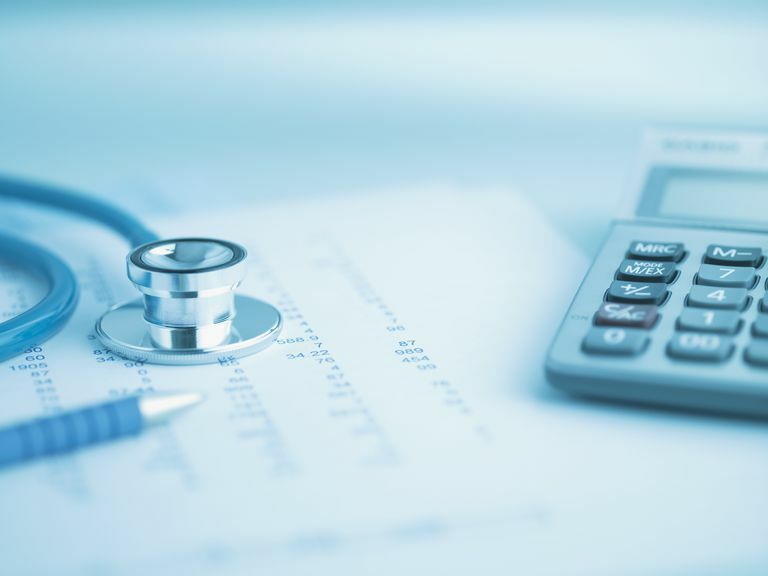 But the penalties for failing to comply with the employer mandate are fairly steep, and employers that are offering coverage generally don't want to end up inadvertently offering coverage that doesn't meet the affordability guidelines. What Does All of This Mean for Employees? If you work full-time for a large employer, you're probably offered health insurance that is fairly inexpensive for your own coverage, since employers generally want to ensure that they're in compliance with the ACA's employer mandate. But the premiums may be much larger if you add family members to your plan, since employers are not required to make the coverage affordable just for you, not for your family. Cornell Law School, Legal Information Institute. 26 US Code 36B, Refundable credit for coverage under a qualified health plan. 36B(c)(2)(C)(i)(II). Department of Health and Human Services, Office of the Assistant Secretary for Planning and Evaluation. HHS Poverty Guidelines for 2018. January 13, 2018. Internal Revenue Service. Revenue Procedure 2017-36.